Textron Specialized Vehicles Inc., a Textron Inc. (NYSE: TXT) company, announces the launch of new Textron Fleet Management Shield Plus technology. Specifically designed for professional turf equipment and utility vehicles, Shield Plus enables golf courses to monitor, maintain and protect their equipment in real time, increasing productivity and more effectively managing course operations. Shield Plus is a web-based management solution that can be accessed anywhere, at any time, on any web-enabled device, from a mobile phone to a desktop computer. The system tracks equipment activity and location, enabling course managers to monitor their equipment and work crews in real time. Shield Plus also uses geofencing and user-defined “speed zones” which will send you instant alerts detailing the location of equipment when exceeding speed limits or entering a protected geofence location. Shield Plus also monitors equipment travel history and usage, mileage, hours, and idle time, and produces work efficiency reports that allow managers to evaluate and maximize their crew’s productivity and more effectively balance workloads. Beyond golf, Shield Plus is beneficial to many other types of facilities and across many applications, including grounds maintenance, facility management and operations at parks, educational facilities, sporting venues, theme parks, industrial plants and commercial campuses. Shield Plus technology is the latest expansion of the Textron Fleet Management comprehensive suite of solutions that help facility managers focus on efficient operations, cost management, and customer experience — all based on the unique needs of their facilities. All TFM systems, including Shield Plus, are compatible with equipment from multiple manufacturers, and are backed by TechForce, an extensive cross-country network of service technicians. In addition to Shield Plus, customers can also choose other TFM systems such as TFM Shield – which specifically monitors, maintains and protects golf-car fleets –or the TFM 7, TFM 7EX and TFM 10EX systems. In addition to providing fleet maintenance and monitoring functions, the latter systems enhance the golfer’s experience with capabilities such as real-time range finding, two-way messaging, and pace-of-play tracking, on bright, high-resolution 7-inch and 10-inch screens. 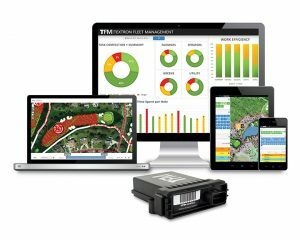 To learn more about the newest TFM fleet management systems and compatible vehicles, visit www.textrongolf.com. Textron Fleet Management (TFM), a brand of Textron Specialized Vehicles Inc., provides GPS-based solutions to golf course operators to help them maintain the performance of their vehicles and equipment, monitor on-course activity, and provide an enhanced experience for their golfers. A range of TSM systems are available to meet the diverse needs of courses, from Shield screenless technology to TFM 7, 7EX and 10EX screen-based systems, now equipped with high-definition displays. For more information, visit textronfleetmgmt.com. Textron Specialized Vehicles Inc., a Textron Inc. company, is a leading global manufacturer of golf cars, utility and personal transportation vehicles, snowmobiles, side-by-sides, all-terrain vehicles, professional turf-care equipment, and ground support equipment. Textron Specialized Vehicles markets products under the E-Z-GO®, Cushman®, Arctic Cat®, Textron Off Road™, Jacobsen®, Dixie Chopper®, Ransomes®, TUG™, Douglas™, Premier™ and Safeaero™ brands. Its vehicles are found in environments ranging from golf courses to factories, airports to planned communities and theme parks to hunting preserves.